Alpha Phi Delta is a predominantly Italian American fraternity that was founded in 1914 at the University of Syracuse. The fraternity has over 20,000 life long members and has notable alumni such as Frank Sinatra, Harvey Golub and Al DeMao. The fraternity has over 95 chapters and is the top represented fraternity in New York Tri-State Area and among the top in the East Coast. 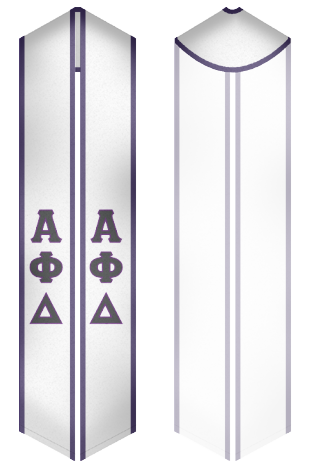 Visit our website and order your fraternity's custom sash and be proud when you graduate. Make this ever so memorable moment even more memorable with our high quality sash.